Cone chalk is used to reduce the friction between your bridge hand and the cue shaft caused by perspiration. Simply rub your hand on the chalk to apply. 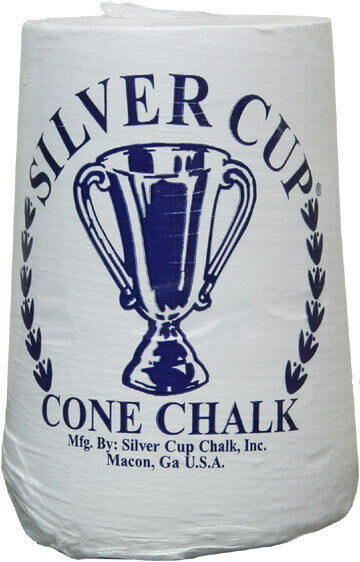 Silver Cup makes the best cone chalk in the world. Unlike inferior chalks, Silver Cup will not easily break, ending up wasted on the floor in a big mess.